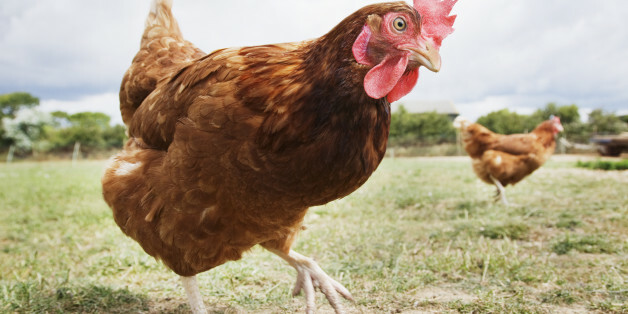 The National Chicken Council says speeding up processing won't hurt birds. Others disagree. A government report says safety hazards are underreported in the meat and poultry industries. So they hold it in, or wear diapers, Oxfam America says. Spending time together and following these tips will lead to many conversations when she will naturally start telling you about how she shifted to this style of eating. This new approach to cooking and eating is actually a great opportunity to get to know your daughter even better. The country's last outbreak was in 2007. According to the National Turkey Federation, 88 percent of Americans will eat turkey on Thanksgiving. That statistic is even more remarkable when you factor in our foreign-born population and vegetarians. While it is widely recognized that the Cold War was a time of heavy diplomatic involvement and trials, few are familiar with another ongoing transatlantic war during the same period: The Chicken War. Some people simply can't resist letting their pets sleep with them. But curling up with cats and dogs is one thing. Cuddling with chickens? That's a whole different one. There's zero question that 2014 was The Year of the Spatchcocked Turkey. I understand raccoons need to eat too, just not my chickens. I can't argue with nature, but I can keep my pets safe. Although their suburban yard is large, they have limited space to run and hid for cover. They are trapped.